Did you buy a product or service in reliance upon a false, deceptive, or misleading statement? Did you buy a product that was defective, but the seller won't resolve your complaint? Consumer protection laws in Texas are varied, and can be confusing. Texas law provides remedies for consumers who purchase or use a product or service in reliance upon certain deceptive practices, such as false or misleading statements or advertising, and who suffer damages as a result of their reliance. Even true statements can be misleading if the business intentionally failed to disclose other information that would have stopped the deal. Texas law also imposes certain warranties, called "implied warranties," on the sale or lease of products and on the modification or repair of products. Many products and services also come with express warranties. If you have had the unfortunate experience of working with a business that has acted deceptively, or have purchased a defective product or service, you may have recourse through the courts. I have practiced in the area of consumer protection for more than 33 years. I recognize the tricky language that businesses may use to make a sale or may hide in their warranties and contracts. Laws are in place to protect consumers from such conduct. What is the Deceptive Trade Practices & Consumer Protection Act (DTPA)? The DTPA is a Texas statute enacted for the purpose of protecting consumers against false, misleading, and deceptive business practices. The statute expressly states that it must be liberally interpreted and applied to promote that purpose. What kind of false, misleading, and deceptive business practices are prohibited? The DTPA creates a cause of action against the use of a number of false, misleading, or deceptive acts and practices that are spelled out in a lengthy list, and against the breach of an express or implied warranty, and against what are called "unconscionable" actions. Among the most common claims are those arising from representations about products and services, and about the advantages of a warranty or other agreement. What is an unconscionable action? Under the DTPA, an act is unconscionable if it takes advantage of a consumer's lack of knowledge, ability, or experience to a grossly unfair degree. What relief is available for a DTPA violation or for breach of a warranty? Economic damages are the most common form of relief awarded. If the violation or breach was committed knowingly, the jury can award a total of three times those damages. 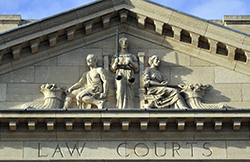 If the consumer is granted relief, reasonable attorney's fees and costs must also be awarded. The award of attorney's fees to the prevailing consumer, and the potential for a "treble damage" award, raises the stakes for businesses defending these cases. As a result, they tend to settle at a higher rate.